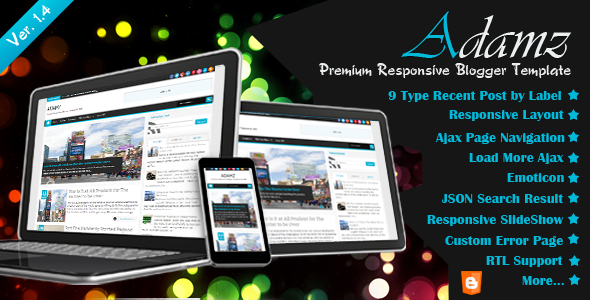 Description: Adamz - Responsive Blogger Templates is blogger theme with responsive layout. This theme has a design that is perfect for magazine websites. With an attractive color combination and impressed professionals and has many features and more.